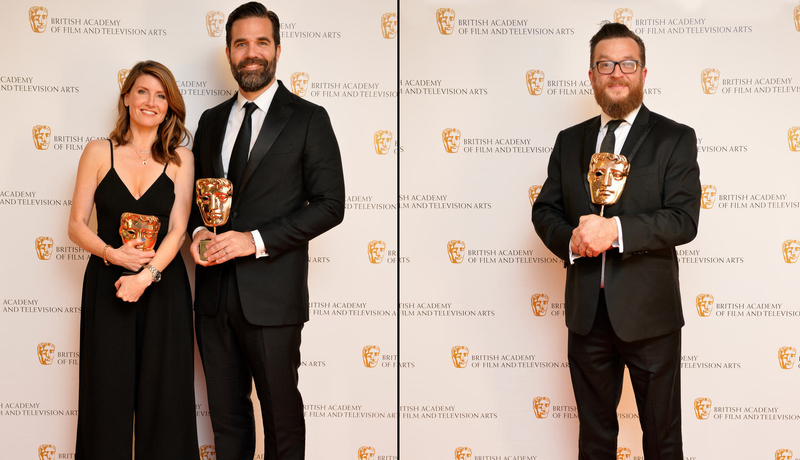 Sharon Horgan and Laurie Rose were amongst the winners at this weekend’s BAFTA TV Craft awards. Horgan won the award for ‘Writer – Comedy’ alongside her regular collaborator Rob Delaney for their work on the magnificent Catastrophe, for which the awards – quite rightly – keep tumbling in. In doing so, the duo beat another TVO favourite: Hunderby, written by Julia Davis and Barunka O’Shaughnessy. Also losing out were shows with TVO regulars as guest stars: Peep Show featured Cariad Lloyd, and Car Share featured Reece Shearsmith. It was always going to be a tough battle, but we’re glad a fully-fledged Onion experience came out on top. Rose, meanwhile, won the award for ‘Photography and Lighting – Fiction’ for his work on hit BBC drama London Spy starring Paddington and Nathan Barley‘s Ben Wishaw. Rose, who was also DOP on all of Ben Wheatley’s films (including Sightseers, A Field in England and High Rise to name the last three alone), took home the gong over fellow nominees Ian Moss (The Frankenstein Chronicles), Gavin Finney (Wolf Hall) and John Conroy (Fortitude). There were more TVO related winners on the night too. Fantasy drama Jonathan Strange & Mr Norrell which starred Paul Kaye in its large ensemble cast (as well as Bunny and the Bull star Edward Hogg), won awards for both ‘Production Design’ and ‘Special Visual & Graphic Effects’, with the latter category seeing off stiff competition from Doctor Who and Fungus the Bogeyman, which also both featured Paul Kaye for good measure. The drama did, however, lose out on two other awards for ‘Costume Design’ and ‘Make Up and Hair Design’. And there was one more to savour from an Oniony-perspective: Channel 4’s critically acclaimed Humans won for ‘Digital Creativity’, thanks to a very clever marketing campaign. If you missed it at the time, you can read our interview with the now officially award-winning team over yonder. For a full list of BAFTA winners, click here, and a hearty congrats to everyone who won!